As well as being praised as a remarkable actor and screenwriter with a diverse portfolio, Jonah Hill’s incredible body transformation has been something everybody has taken notice of. While the world loves him no matter what size he is (and rightly so) it’s hard not to sit back and admire how Hill has transitioned from the awkward fuller framed teen in the classic comedy Superbad to the awkward fitter-framed man-child in the 21 Jump Street series. Recently Hill finally joined Instagram (you’ll live to regret it mate) and the first picture he posted certainly has people talking as he (inadvertently) shows off his biceps while filming his feature-length directorial debut, Mid 90’s. Sure you may well see bigger guns out there (shout to Ron Burgundy) but it’s pretty impressive considering when we first saw Hill on the silver screen all those years ago we were content with how he was. Now he’s making us want to get up from our lazy asses and be the best version of ourselves. I mean, that vein says it all. His fans took to Twitter to heap praised oh him. I think we should start calling him ‘Jonah Hench’ from now on. In January the trailer for Don’t Worry, He Won’t Get Far on Foot debuted and it featured Hill, once again, sporting a look which you wouldn’t normally associate with him. While it was for a role he was playing, people on Twitter still couldn’t handle it. Sporting a long blonde beard, blonde long hair and checked shirts a lot of people didn’t know how to handle it. Some even started comparing his look to the late Nirvana frontman Kurt Cobain. The movie is based on the autobiography, which has the same title, by John Callahan. He’s an alcoholic who becomes paralysed after getting in a car accident, and his emotional journey to find solace through drawing. Jonah plays a character who is a flamboyant, spiritual who refers to his mates as ‘piglets’ and regularly reminds Callahan to just ‘drink water’. Other comparisons to Hill’s character included artist Post Malone and members of American rock group The Allman Brothers. Since Don’t Worry, He Won’t Get Far on Foot’s release it has garnered a bit of criticism and controversy due to director Gus Van Sant’s casting of actor Joaquin Phoenix. Some felt the role should have gone to an actor with an actual disability. 1. This looks awesome 2. @JonahHill you look like an Allman brother, which is a compliment by the way, can’t wait to check this out! It was a mistake for director Gus Van Sant to cast Joaquin Phoenix in his upcoming biopic about disabled cartoonist John Callahan. The time has come for the entertainment industry to audition and cast actors with disabilities to play leading roles portraying disability. As we enter 2018, American society no longer finds it acceptable for white actors to play black, Asian, or Hispanic characters. It is equally unacceptable and offensive for able-bodied actors to be cast inauthentically in the roles of characters with disabilities. 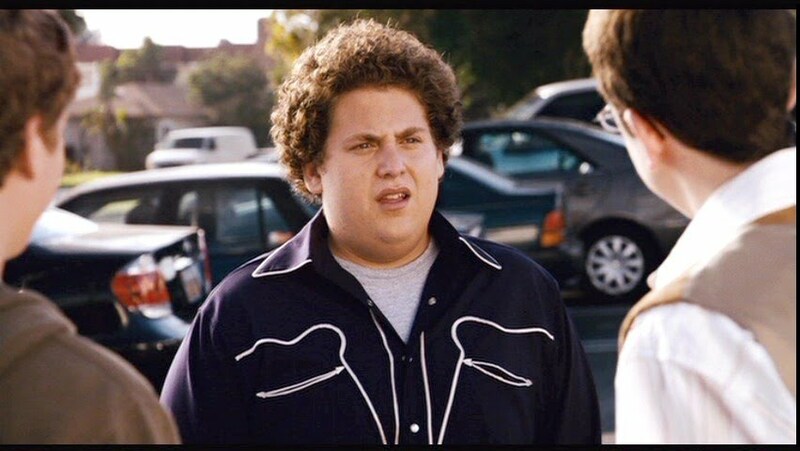 Like I said before, whatever size or shape Jonah Hill is he’s still a pretty amazing actor.